Del. Sam Rasoul (D-Roanoke) has introduced a bill that closes a rarely discussed gun-show loop hole. HB 1394 requires a promoter of a firearms show to include a list of vendors that are selling or transferring a firearm. Del. Sam Rasoul (D-Roanoke) introduced four new bills on election reform in Virginia. His bills include voluntary public financing of campaigns, redistricting reform, and two constitutional amendments that would allow 16-year-olds to vote in local elections. Del. Sam Rasoul (D-Roanoke) has launched Democratic Promise, an initiative to help rebuild trust in the Democratic Party in rural Virginia. Del. Sam Rasoul, D-Roanoke, said today that the Mountain Valley Pipeline poses significant threats to our communities’ water resources. International students were eager to hear Sam Rasoul share his experiences as a state legislator. Del. Sam Rasoul applauded today’s Supreme Court decision blocking 11 state legislative districts gerrymandered by race. The State Senate has unanimously passed a measure to create new protections for Virginia’s children put forward by Del. Sam Rasoul. “If we lead out of our values, it will cost us something,” Delegate Sam Rasoul told a packed crowd at EMU. Del. Sam Rasoul (D-Roanoke) has filed HB 2434, a bill that would establish community schools. Del. Sam Rasoul (D-Roanoke) has filed HJ 585, legislation that would study rates of in-state and out-of-state undergraduate student admissions. Del. Sam Rasoul (D-Roanoke) has launched an initiative called the Impact Center in Roanoke for people looking to have a local impact on their community. Del. Sam Rasoul (D-Roanoke City) announced today that he will run for reelection in Virginia’s 11th District in the House of Delegates. Delegate Sam Rasoul (D-Roanoke) has resigned from his leadership post as Secretary of the House Democratic Caucus in Virginia’s House of Delegates. Delegate Sam Rasoul (D-Roanoke City) has introduced a bill that calls for a constitutional amendment allowing for public primaries. The Senate passed HB 319, put forward by Del. Sam Rasoul to allow medical professionals who provide charitable healthcare services to receive continuing education credits. A bill proposed by Del. Sam Rasoul would allow medical professionals who provide charitable healthcare services to receive continuing education credits. Del. Sam Rasoul applauded the Supreme Court ruling that minors sentenced to mandatory life imprisonment must have a chance to argue for their release. Del. 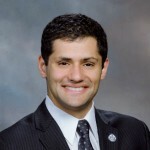 Sam Rasoul helped found the Transparency Caucus, which is dedicated to making the General Assembly and its proceedings more accessible to the public. Del. Sam Rasoul has filed a bill that would allow medical professionals who provide charitable healthcare services to receive continuing education credits. Del. Sam Rasoul released a statement on news that Virginia will no longer honor concealed carry reciprocity agreements with 25 states. Del. Sam Rasoul has filed HB 103, a bill that would help buyers by placing a cap on the interest rate that consumer finance companies can charge on a loan. Del. Sam Rasoul (D-Roanoke) has announced that he will put forward a Good Government legislation package during the 2016 legislative session. Del. Sam Rasoul has organized an Anti-Terrorism/Pro-Humanity Rally to show the world the #RealRoanoke. The rally seeks to show Roanoke in a positive light and will feature activities, speakers, and a food and clothing drive to help those in need. In response to a statement released by Roanoke Mayor David Bowers that referenced the Japanese internment camps of World War II with regard to his call to stop the settlement of Syrian refugees in the city, Del. Sam Rasoul has released the following statement. Roanoke Del. Sam Rasoul offered a statement on the OneVirginia2021 redistricting lawsuit. Delegate Sam Rasoul (D-Roanoke City) has expressed disappointment in Governor McAuliffe’s Friday veto of SB 965, legislation that would have limited government retention of personal data from license plate readers. Del. Sam Rasoul (D-Roanoke City) has filed paperwork to run for re-election in Virginia’s Eleventh District in the House of Delegates. The Virginia Educators Association (VEA) recognized Del. Sam Rasoul (D-Roanoke City) this past week with its “Solid as a Rock” award, indicating a 100 percent rating for his 2015 voting record. This is the second year in a row that Rasoul has received a 100 percent rating from the VEA. Delegate Sam Rasoul (D-Roanoke City) released the following statement regarding the Governor’s announcement Monday morning that Roanoke is the recipient of a $600,000 grant from Industrial Revitalization Fund. Delegate Sam Rasoul (D-Roanoke City) said that HB 1297, passed by the Virginia Senate last week, is an important measure to protect the environment and shift the Commonwealth’s long-term energy focus toward renewable energy. Delegate Sam Rasoul (D-Roanoke) applauded Attorney General Mark Herring’s announcement that his office is initiating an inquiry into Natural Bridge Zoo. Delegate Sam Rasoul (D-Roanoke)’s HB1297, a measure that would see decreased taxes for businesses utilizing renewable energy, was passed by the House of Delegates this week with broad bipartisan support. Delegate Sam Rasoul (D-Roanoke)’s HB1860, known as the Truth in Donating Act, was passed Tuesday in the Virginia House of Delegates with broad bipartisan support. Del. Sam Rasoul (D-Roanoke City) commended the House of Delegates committee on Militia, Police and Public Safety for moving forward HB1673, a bill that will limit government retention of personal data. Delegate Sam Rasoul (D-Roanoke City) criticized today’s announcement that Norfolk Southern will close its building in Roanoke and relocate, resulting in a loss a 400 jobs to the Roanoke region. HB 1344, a bill to protect workers by making it clear that Safety Service Patrol employees are included in Virginia’s “move over” law, passed unanimously on Friday. Delegates Sam Rasoul (D-Roanoke) and Patrick Hope (D-Arlington) have introduced the Virginia Healthy Transitions Program to increase access to health care for nearly 400,000 Virginians. Delegate Sam Rasoul (D-Roanoke City) has been appointed to the Militia, Police, and Public Safety Committee by House Speaker William J. Howell. Delegate Sam Rasoul (D-Roanoke City) has announced legislation that will protect Virginians from unknowingly donating to organizations posing as charitable groups. Delegate Sam Rasoul (D-Roanoke City) has announced that he will call for changes to the constitutions of both the United States and Virginia during the upcoming 2015 General Assembly session. Rasoul aims to restore fairness to elections and end gerrymandering via the legislation. The first annual Star City Slam 3 on 3 Basketball Tournament will take place next month to benefit New Horizons Healthcare, which provides healthcare services and education to people in Roanoke. Del. Sam Rasoul (D-Roanoke City) has introduced legislation that would see decreased taxes for businesses utilizing renewable energy. Delegate Sam Rasoul (D-Roanoke City) has received a perfect score on the Virginia Sierra Club’s first General Assembly Legislative Scorecard. Del. Sam Rasoul (D-Roanoke) commended Governor McAuliffe for announcing bold action on healthcare this morning. The Governor introduced A Healthy Virginia, a 10-step plan to extend healthcare services to more Virginians. Governor Terry McAuliffe and Virginia legislators from across the Commonwealth celebrated the Mid-Atlantic Aviation Partnership’s First Flight ceremony at Virginia Tech on Wednesday.